Is this a popular myth? Or is this the truth. Epstein Barr (EBV) is a highly contagious virus. It is part of the herpes family of viruses and one of the most common in the world, with almost the entire human population being exposed to it at some point in their life (90-95% of all people). If EBV causes thyroid disease why isn’t 90% of the population suffering with thyroid conditions? Well, it takes more than just one factor to knock the thyroid out of balance. If nutrition is inadequate, the body will not have the elements needed to create thyroid hormone. If you are eating the right foods but they are improperly prepared this can inhibit absorption of nutrients and limit production of thyroid hormones. If stress is high, digestion shuts down and nutrients will not be properly absorbed. If someone is suffering from unresolved emotional trauma and stuck in chronic fight or flight, the thyroid will naturally slow down or speed up the organism to preserve life. If someone is overworking and not getting adequate rest, this impacts the health of the kidneys and adrenals, and eventually the thyroid. If the immune system is weak, stealth viruses like EBV will eat away at the body’s energy reserves, compromising the thyroid. If the virus is hiding in the body’s organs and glands, and growing in numbers, the immune system will attack it, contributing to autoimmune conditions like Hashimoto’s, Graves’ and Addison’s disease. The body needs more than just exposure to the virus to break down into a diseased state, otherwise the entire population of the world, or at least 90% of us, would be diagnosed with thyroid disease due to EBV. 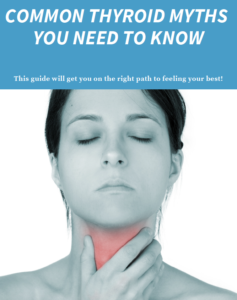 Get the facts, stop suffering, and start healing your thyroid condition.